Business Challenge: Iowa Corn Growers Association (ICGA) looks for new ways to focus on their members, their members’ farming lifestyle and the work their members do to help feed a growing world. Showing the importance of harvest time in a farmers’ life is one way to illustrate the sacrifice and hard work of Iowa corn farmers. 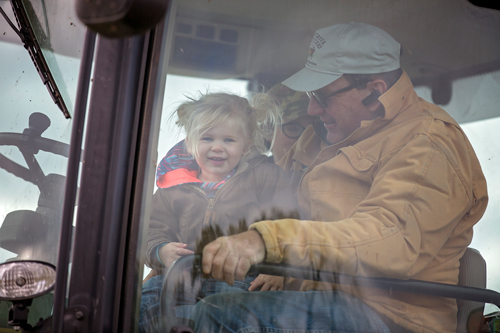 Campaign Goal: Grow awareness of Iowa Corn farmers during harvest, and offer an authentic glimpse into the lives of farm families. As Harvest 2017 (affectionately known around these social media parts as #Harvest17) kicked off, the Bing Bang and Iowa Corn teams went to work locating farmers to feature for our #DayintheLife campaign, fighting the elements (seriously, would it ever stop raining) and stretching ourselves to create high-impact stories of farmers, their families and their lives. A particular favorite of ours, the Wuthrich family, featured four generations of farmers working together every day to feed the world and protect their land with smart conservation practices. Along with live social media coverage from sunup to sundown shared via Iowa Corn’s Facebook, Twitter and Instagram, a more in-depth video story was launched to Iowa Corn’s social media channels highlighting the family and the details of a day lived during #Harvest17. The Wuthrich Family farm content has garnered approximately 10,000 impressions and engagements since its launch last week, engendering the Iowa Corn brand with their current members and attracting new visitors to engage with.